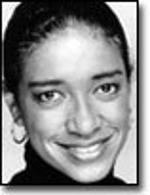 One of the first African American women to hold a senior producer position at a major television network ANITA W. ADDISON directed television for major television shows in the eighties and nineties. Before taking on the network career she took film classes at NYU and attended UCLA at night in order to get her Masters – after she obtained a Masters in journalism from Columbia and analyzed data for Nielsen ratings for a small independent station. Her short film Savannah was nominated for an Academy Award in 1984.